I have no purpose to introduce political and social equality between the white and the black races. There is a physical difference between the two, which, in my judgment, will probably forever forbid their living together upon the footing of perfect equality, and inasmuch as it becomes a necessity that there must be a difference, I, as well as Judge Douglas, am in favor of a race to which I belong having the superior position. I will say then that I am not, nor ever have been, in favor of bringing about in any way the social and political equality of the white and black races – that I am not nor ever have been in favor of making voters or jurors of negroes, nor of qualifying them to hold office, nor to intermarry with white people, and I will say in addition to this that there is a physical difference between the white and black races which I believe will forever forbid the two races living together on terms of social and political equality. And inasmuch as they cannot so live, while they do remain together there must be the position of superior and inferior, and I as much as any other man am in favor of having the superior position assigned to the white race. And so this review must end, leaving the reader in the position of deciding whether to leave the field for more interesting conversations, or to dive more deeply into the matter and determine, to his own eventual satisfaction, Lincoln’s position on the races in America. 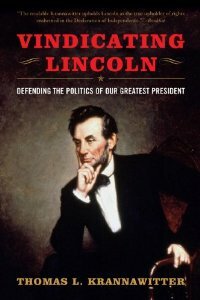 Once having decided to dig more deeply, the reader will discover other issues, such as whether charges that Lincoln’s goal in the Civil War was to preserve the union or to end slavery, whether he was the “father of big government,” and whether states posses a constitutional right of secession. 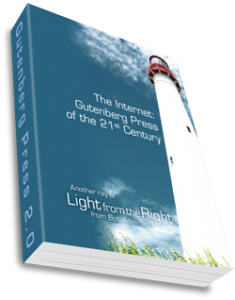 Many of these issues remain highly relevant today as more readers dig more deeply into the motivations of those who have so significantly impacted our history and our lives today. This entry was posted	on Friday, November 30th, 2012 at 10:53 am	and is filed under Constitution, History, Reviews. You can follow any responses to this entry through the RSS 2.0 feed. You can leave a response, or trackback from your own site.